We live in a nice 1930's apartment with several original characteristics still intact. Our home is 60 sq.m. 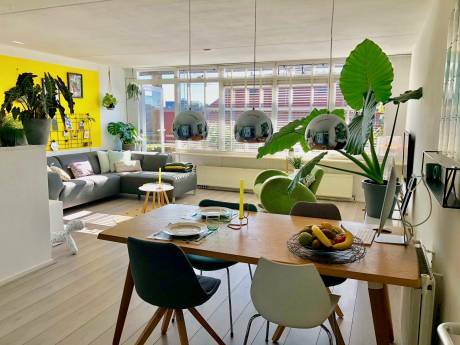 and has a spacious living room where we also created a small office area (wireless internet included), a separate bedroom with a double bed, a fully equipped kitchen with a washing machine, a large bathroom and a balcony overlooking a green and quiet inner court. It's an atmospheric place where you will immediately feel at home. 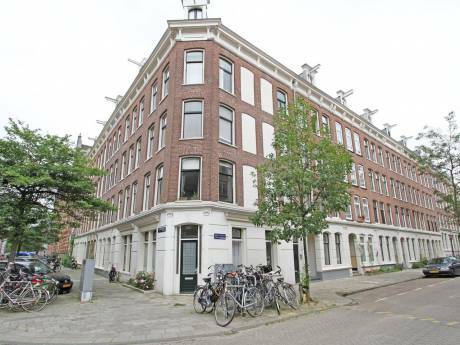 We live in a quiet neighbourhood close to the famous Jordaan area. There are several shops, bars and restaurants within walking distance, and the different trams and buses that stop close by will quickly take you to other parts of Amsterdam. 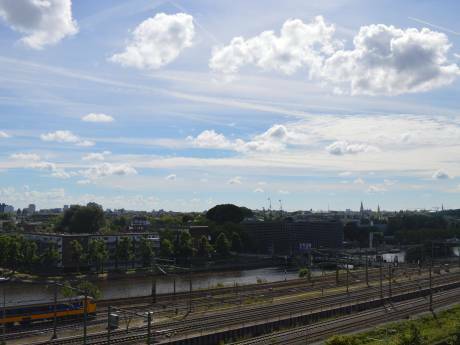 (As well as to places outside the city: there is a good connection to both Central Station and Sloterdijk Station, and it even only takes 30 minutes to get to Schiphol Airport by public transport). Our neighbourhood is safe and growing more popular every year. We're an academic couple in our early thirties, I work in philosophy and my partner in psychology (psychometrics to be exact). We will move to the US for a year of post-doctoral research and will both be able to visit universities in the New York area. We do not smoke and have no children or pets.